1) Preheat oven to 375 degrees. Grease a desired pan. 2) In a large mixing bowl combine flour, baking powder, salt, and sugar. Mix well. 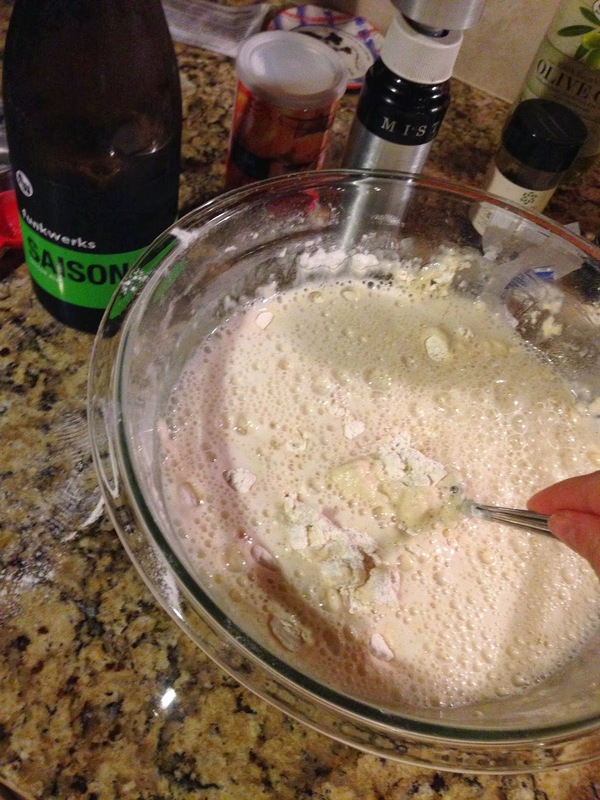 3) Stir in 12 oz of Funkwerks Saison beer and mix with hands until a stiff batter is formed. Do not over mix. 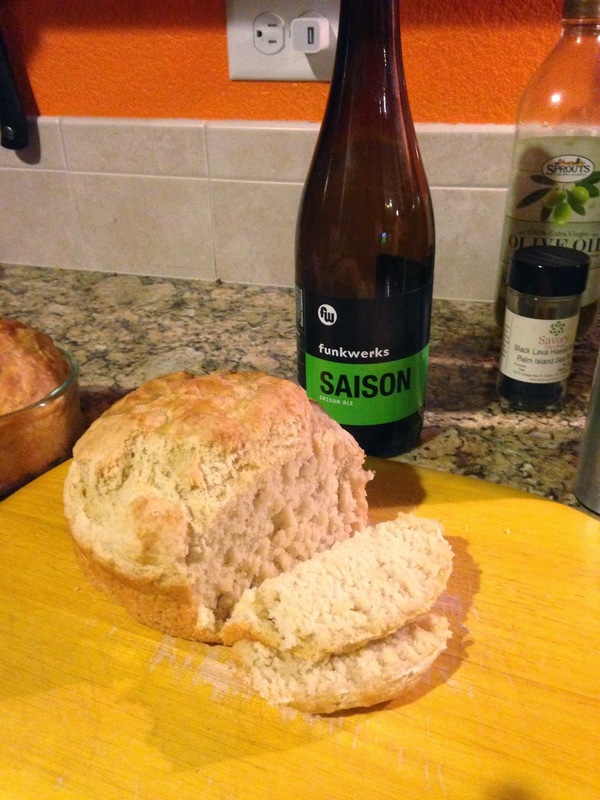 Pour remaining Saison in a glass and sip occasionally. 4) Brush melted butter across top of dough. This step is optional. 5) Bake until done, baking time can vary. Mine took about 45 minutes. A toothpick should come out clean.